Everything dying off East of Lough Neagh unfortunately. Melting away now, stop that! Cheeky little 20 minute snow shower just now. Not heavy or long enough to settle but a good start. 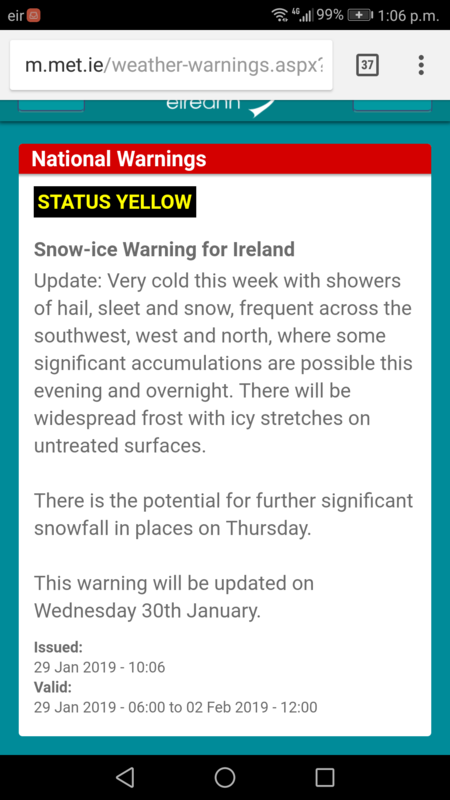 Met Éireann used the S word twice in the same sentence, significant and snow for this evening and overnight. Sun spliting inLimavady too if that’s any consolation! Lol that’s what I get, despite repeated warnings over many years to ignore them, they’ve changed already! Hammering it down here in Park village. Lookong forward to seeing what tonight brings. Just be glad you actually have snow symbols. 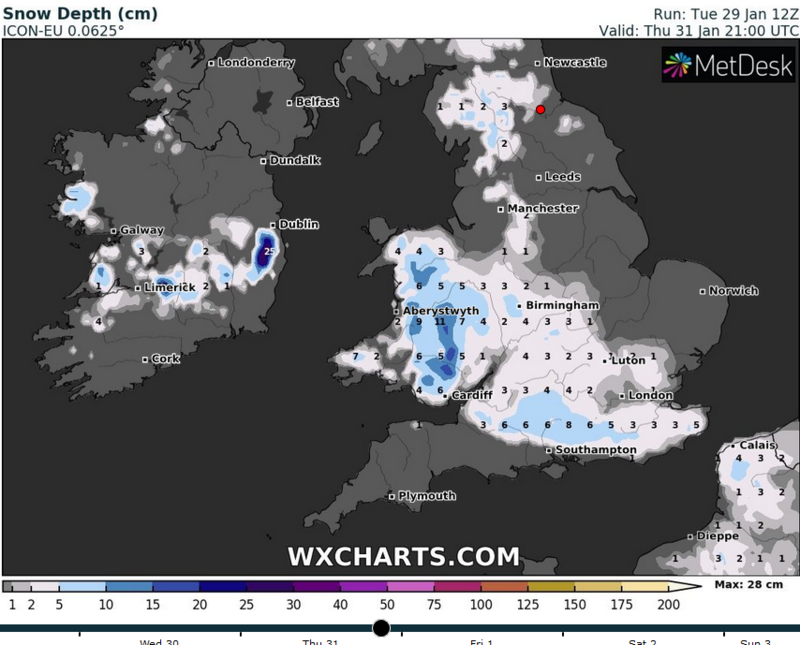 These Met Office automated have me been down for <5% of precipitation for the next 6 days. 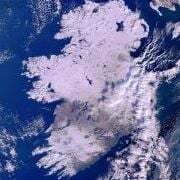 Ring of fire in force today even snow on the Giants Causeway haha not much to low elevations so far but shower activity prepping up. It's always amazed me when the showers are of rain they have little difficulty reaching the east coast no matter what direction they come from. But when the weather turns colder and showers are of snow they die out before reaching east coast. That's your laws of thermodynamics right there. It can get very complicated to explain but as the source of the air cold, it's potential energy is lower there by it runs out of puff before it gets over here. 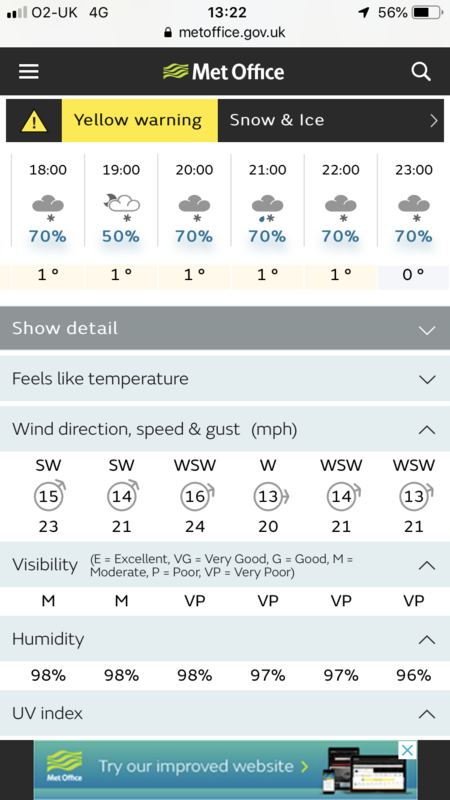 Not much in the way of showers. Showers been mostly to the south of me, just had a flurry an hour ago. Already freezing and judging by radar should get a shower within 1 hour. ICON isn't overly snowy for the Thursday system. Post this time it's expected to sink a bit. Much ado about nothing all this. 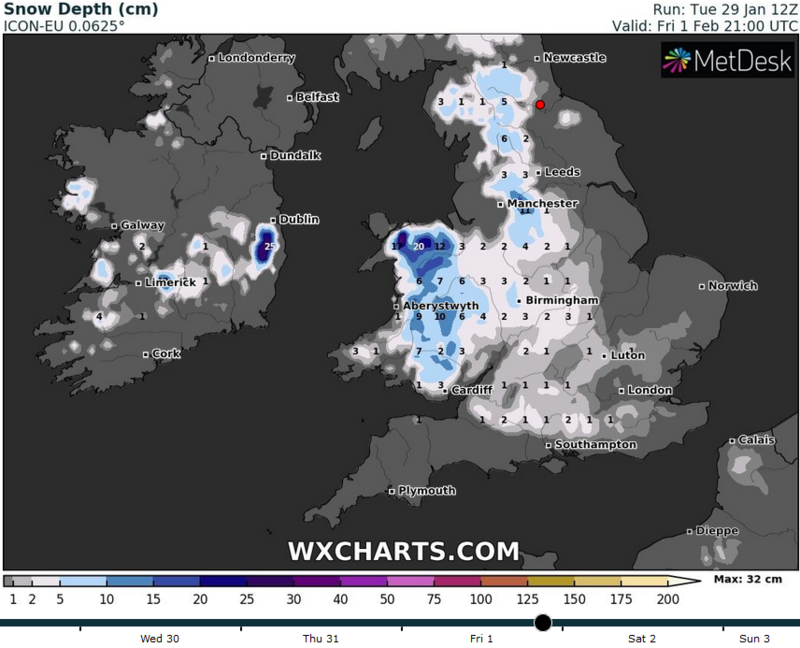 I'm sure some places will get some snow, possibly a lot, but the vast majority of people are not going to see much lying snow. 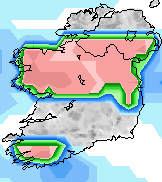 Times running out on this winter, next weeks models watching will be vital if we are to salvage something out of it.